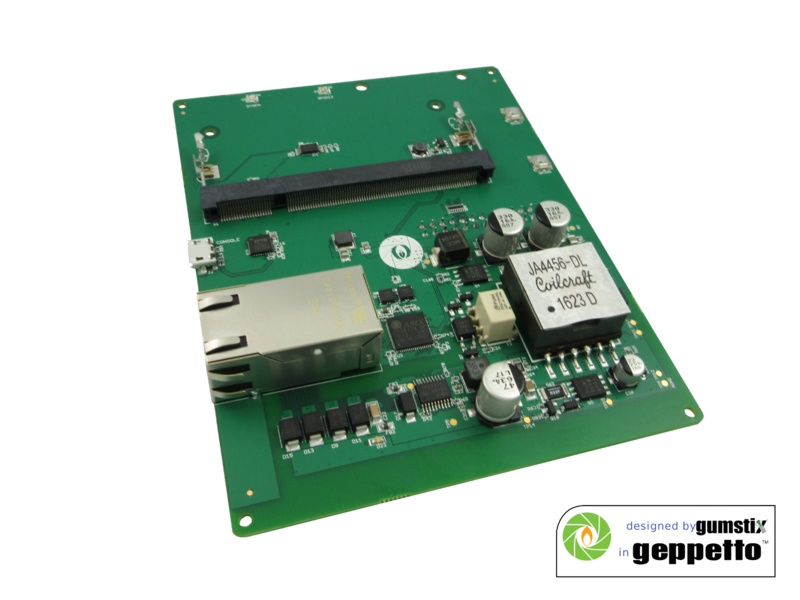 Design Power over Ethernet (PoE) into your board with Geppetto | Gumstix, Inc. | Gumstix, Inc.
We are happy to announce two new Geppetto modules providing for Power over Ethernet (PoE): ‘Gigabit with PoE‘ and ‘Gigabit with PoE via USB‘. Both modules allow a single Ethernet cable to provide both data connection and electric power to your device. PoE is typically used in devices such as wireless access points, IP cameras, and VoIP phones. The Gigabit with PoE module is 10/100/1000 Ethernet combined with 802.3at PoE, providing ample power. This module delivers power with TI’s TPS23752 PoE interface and DC/DC controller and connectivity with Atheros AR8035 Ethernet interface. The same hardware as the native Gigabit with PoE delivers power, but the Gigabit interface is controlled using the ASIX AX88179 USB 3.0 Gigabit Ethernet Controller. You will find both modules under the ‘Network’ shelf of the modules library in Geppetto. If you’re thinking of prototyping or testing out the Gigabit with PoE via USB module, check out our Gumstix Pi Conduit PoE carrier board for the Raspberry® Pi CM or CM3. This board is a LoRa gateway development board that incorporates Power over Ethernet for the Raspberry Pi Compute Module. Ultimately, PoE allows you to deploy anywhere your network can go without the installation of A/C power outlets, making it ideal for LoRa gateways and other edge devices.